Back on the North coast today. 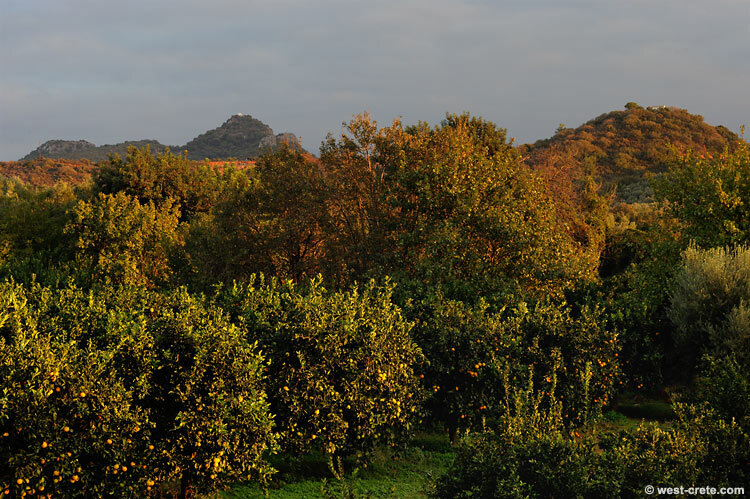 This is the view towards the South from where I live and this photo has a nice feel of Cretan autumn: oranges are getting ripe (but not quite there yet), one tree has yellowing leaves, the grass is starting to get green again after last week's rain. The whole was bathed in a warm late afternoon light. The only thing missing are the mountains which were lost in the haze.